GU Roctane Ultra Endurance Energy Gel is a high-intensity offering from GU, the original sports energy gel. 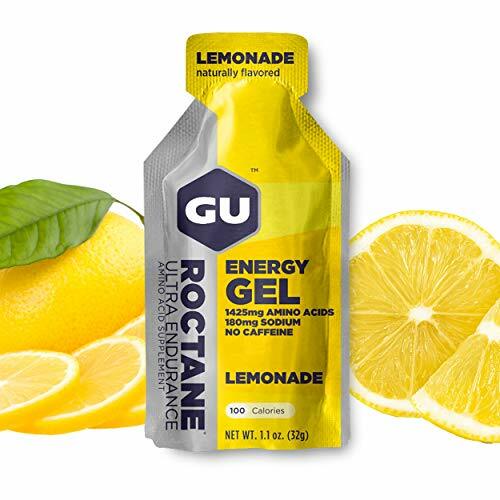 Designed for extreme and long-duration endurance activities, GU Roctane Energy Gel comes in highly compact, portable, and calorie-dense packets that are loaded with carbohydrates that can be rapidly absorbed. Athletes performing at a high level for hours on end need more from their nutrition, which is why Roctane Energy Gel packs three-times the amino acids and twice the sodium as original GU Energy Gel. These ingredients boost Roctane’s efforts to help decrease muscle damage, promote muscle repair, and maintain water balance. Each packet of GU Roctane Ultra Endurance Energy Gel contains 100 calories and 1425mg of amino acids.